Feeling Super Bold and ready to join us and support this community? Click HERE to get on board immediately (via Paypal subscription), then drop us a line at the contact info below and we will get you set up! In early 2017, some friends and I shared the purchase of a dilapidated historic house in a great location on the Main Street of Longmont, Colorado, and then restored it into a pretty neat compound for holding all sorts of events. You can even read a little bit about the purchase in this article from August of that year. As of January 2019, I have teamed up with three different friends including the esteemed Mindy and Carl (from BiggerPockets and 1500 Days) to take over the whole building, which has quadrupled our interior space! Together, we are the “HQ Coworking” space, which is a nice rambling array of large and small rooms, set up much like a large coffee shop plus an outdoor patio. 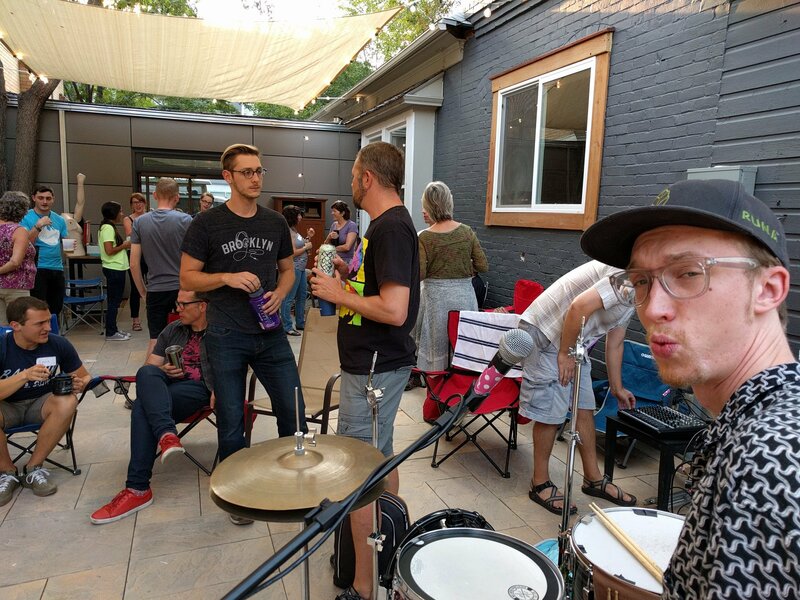 Our goal is to build up to a membership of about 200 Longmont/Boulder area locals, many of us entrepreneurs or people who like to get out of the house to work and socialize, and have everyone become friends and collaborators. We’ve been open since September 2017, and things have been a blast so far. 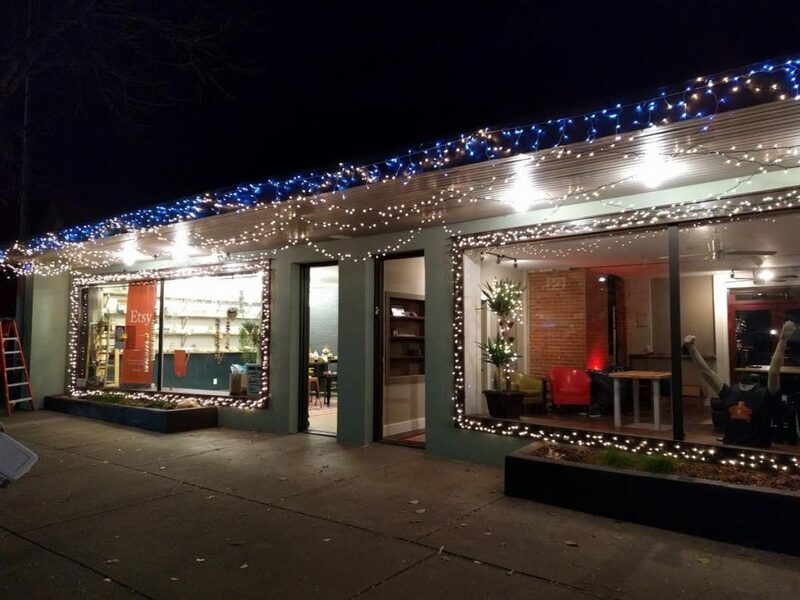 24/7 keypad access to a historic building downtown with various cozy work and social spaces (about 2400 square feet) with couches, tables, benches, chairs, etc. Plus a dedicated kitchenette and a separate full kitchen. Access to dozens of other accomplished entrepreneurial local friends, who are all be part of an active Slack Group. A big outdoor patio courtyard area out back with grill, chairs, music, patio lanterns, etc. Outdoor gym with barbells, kettlebells, squat rack, medicine ball, plus bodyweight things like pull-up bars and a dip rack. FREE CRAFT BEER AND CIDER as we rotate through kegs from local craft breweries. Semi-regular happy hours whenever someone chooses to plan one. Free bikes available for borrowing, including a Fortified single speed and various electric bikes that manufacturers lend us occasionally for testing. All-solar-generated electricity from our DIY-crafted array on the garage, which also includes a 3.3kW electric car charger that is free for members. The chance to work together on this new building – learning through doing as we build new features. Operated on a informal nonprofit basis, we generally manage this place without charging for our time, which allows us to keep prices amazingly low and use the proceeds to create some good change around the town and the world. Membership $156 per quarter, payable via Paypal automatic deduction. Because we want a stable membership (both to build a strong community and so I can spend my retirement doing more fun stuff than constantly enlisting new people), I encourage you to think carefully before signing up. Give yourself an honor system one-year commitment to the idea. Sorry, but we do not. Due to the goals described above, we are encouraging long term commitment and helping people build local friendships. However, keep an eye on the 400-person-strong NoCo Mustachians Meetup group and you can join one of our many free public events at the HQ. If you are ready and you live in the Longmont area, read this super-informal membership agreement, then send us an email (hq.coworking at gmail) with Coworking in the title. Please include a bit of biographical information so we can know you’re a real, friendly person. From this list, I’ll gather interested people and host tours every few days, and then if you are still excited I can give you the subscription link to join for real! Hope to see you here, neighbor!